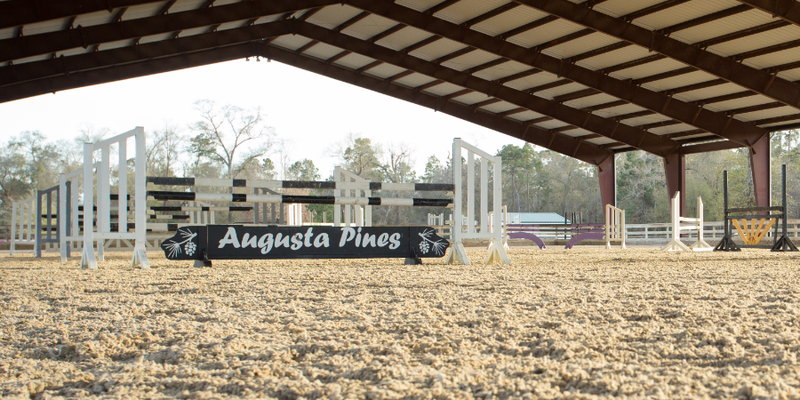 Augusta Pines Farm currently has a total of 36 stalls in two barns as well as turnout paddocks with stalls. Our accomplished and experienced trainer, Martien van der Hoeven, offers a unique approach to the training and development of clients and their horses, with an individualized training program that is aimed at continuing clients on a path towards achieving outstanding results. Our clients have competed in and qualified for Indoor Equitation Circuit, Junior Hunter Finals, The North American Young Riders Championships and Pony Finals. We understand that each client has specific needs, goals and abilities and Martien strives to build a path that puts our clients on the road to success. We offer individual as well as group lessons and customized horse specific training, all designed to bring out the best in both horse and rider. Augusta Pines Farm is also an approved Conroe ISD off campus physical education establishment.